Spotted on eBay. Made in China. Arno Beck Typewriter Drawing from Arno Beck on Vimeo. 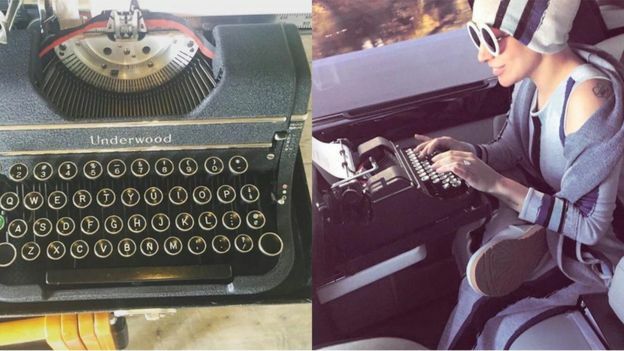 We'll forgive him for not using an actual Underwood. From the PBS documentary "Hamilton's America." If you've ever wanted to try your hand at writing a novel, NaNoWriMo is a high-velocity, low-expectations way to jump in. 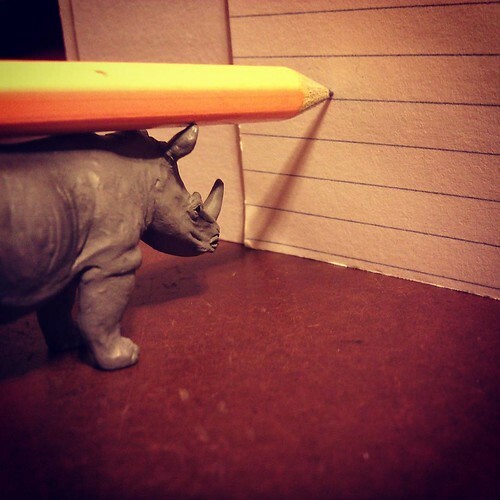 As you might guess, the Typewriter Brigade is a subculture unto itself, with many familiar names from around the Typosphere, plus a few new crazies that manage to get ensnared by our wit, charm, and tiny helpful rhinosceri. We can't promise fame, fortune, or (alas) a future living easy on royalty payments, but we can provide a month of entertainment, amusement, and convivial companionship as we all attempt to squeeze 50,000 words of vaguely readable fiction out of our brains in 30 all-too-short days. 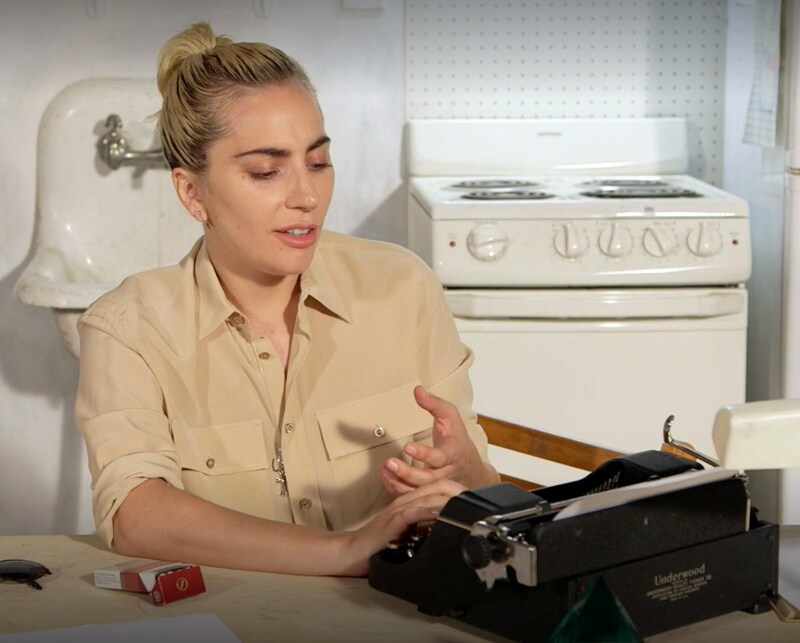 Lady Gaga wrote her new single on a typewriter. 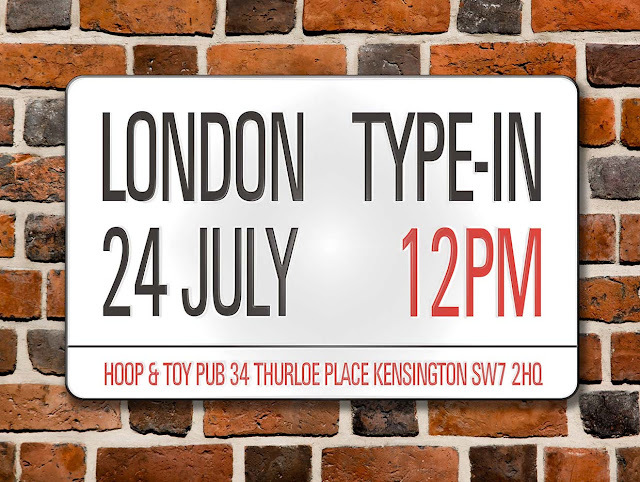 Come to the London type-in! 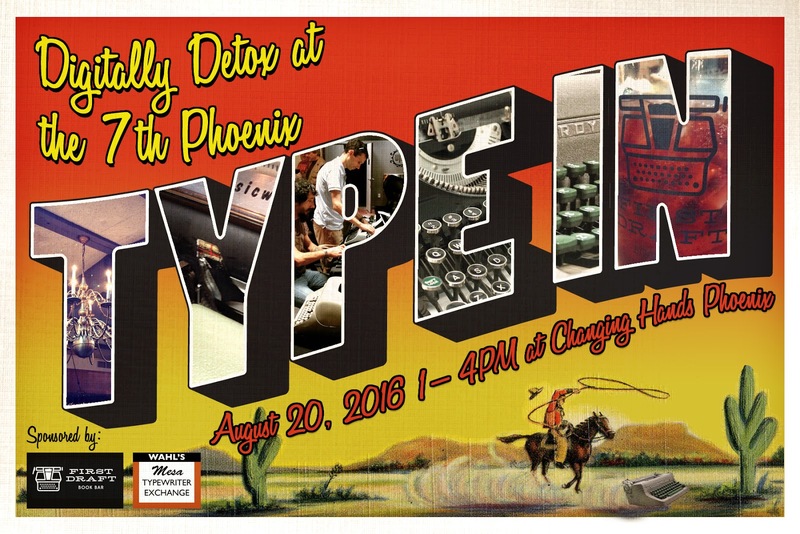 Digitally detox at the 7th Phoenix Type-In at Changing Hand's First Draft in Phoenix on August 20th, from 1-4pm. There will be typewriters, good people, and excellent food and drink. All are welcome. 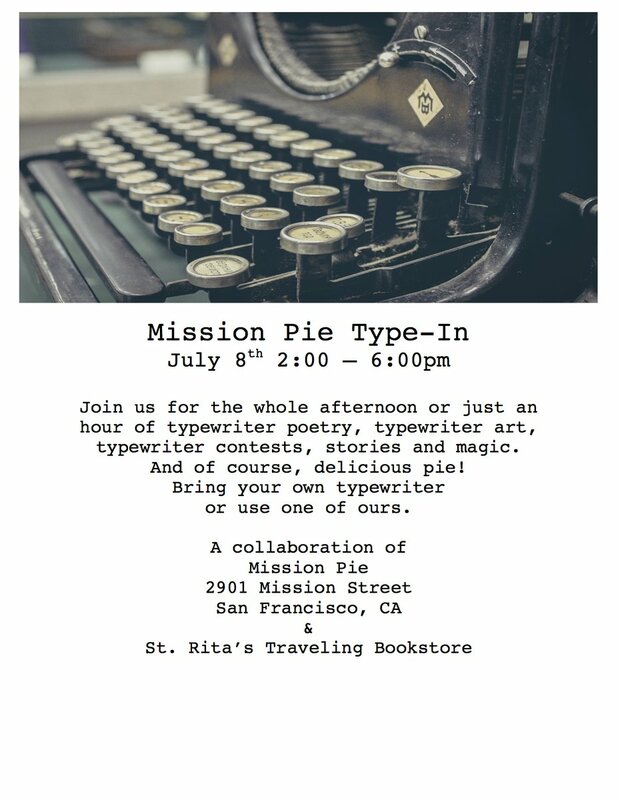 It's Typewriter Day! Plenty of activities are on deck for the weekend, but if you've got the time and inclination, pull out a machine and celebrate today. How are you marking the day/days/week? 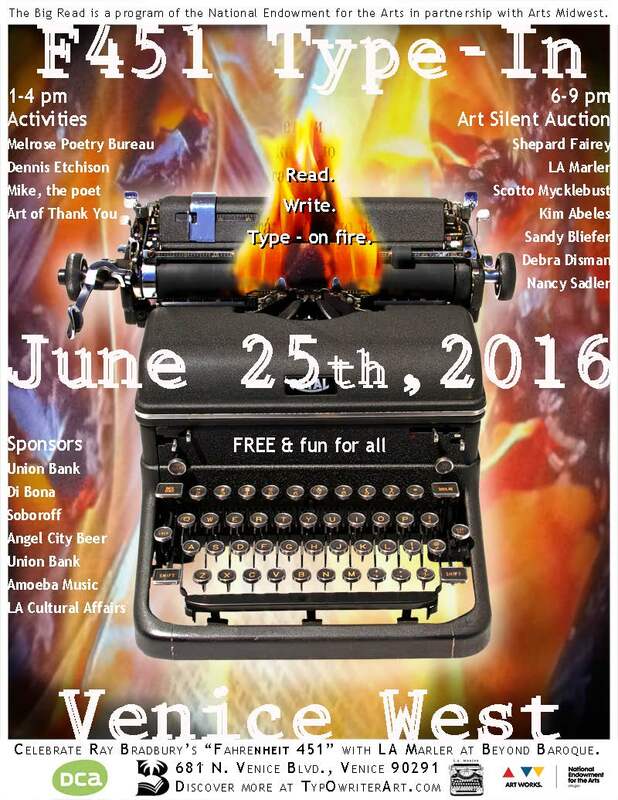 Typewriter Day 2016... and beyond! 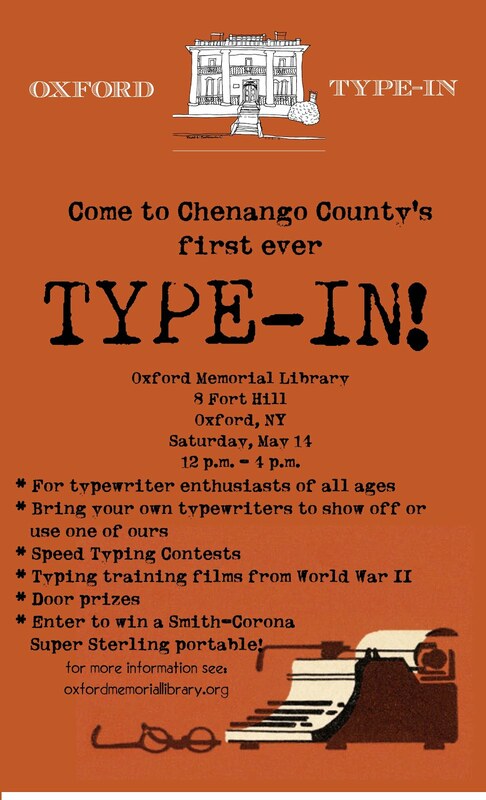 Just a reminder to all the folks out there in the Typosphere that June 23 is our quasi-official celebration of International Typewriter Day. I feel like there's a lot more going on this year than in years past. I see lots of events, type-ins, and all kinds of impromptu communities forming around this magical machine, many posted here. How are you planning to celebrate this year? For 2015, I hauled my trusty plastic SCM Corsair over to the local community college and played dodge-em with the leafblower brigade as I bashed out a chunk of typographic doggerel. With all the recent type-ins and gatherings, maybe we need to extend the scope a bit. 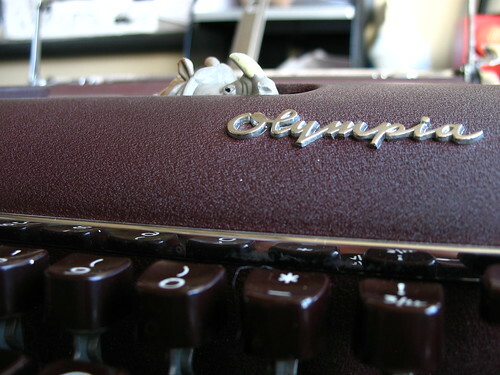 International Typewriter Week, anyone? Me and the Corsair are up for it. 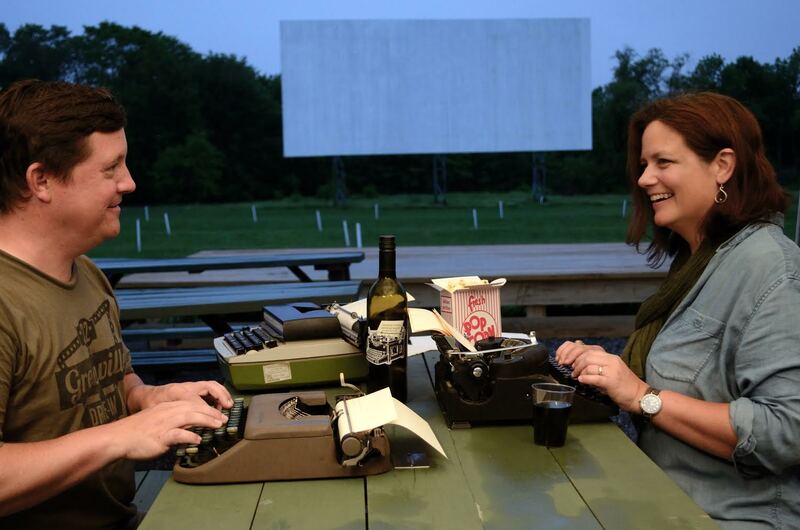 [Greenville, NY] The Greenville Drive-In presents The First Annual Typewriter Arts Festival Saturday, June 11 beginning at 6:30pm. 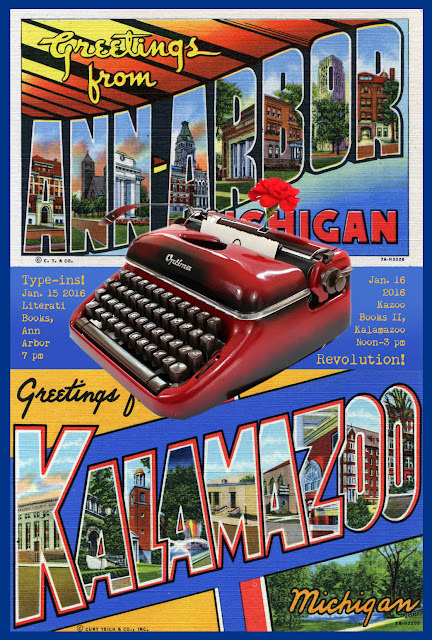 Festival highlights include a live performance with The Boston Typewriter Orchestra, screening of the documentary The Typewriter (in the 21st Century), a display by local artists using the medium of typewriters, and a display of vintage typewriters. The Greenville Drive-In is located at 10700 Route 32 in Greenville, NY. 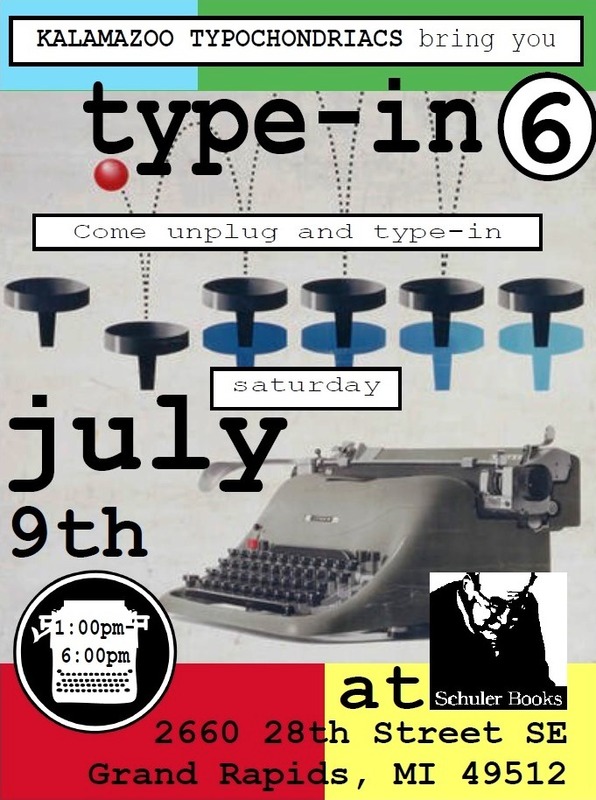 Admission to the Typewriter Arts Festival is $10. Tickets are available on the website www.drivein32.com and at the door. For further information, please email info@drivein32.com or call (917) 755-2452. The Boston Typewriter Orchestra is a collective endeavor that engages in rhythmic typewriter manipulation combined with elements of performance, comedy and satire. Their performance at the Greenville Drive-In will be their first in the Catskills. 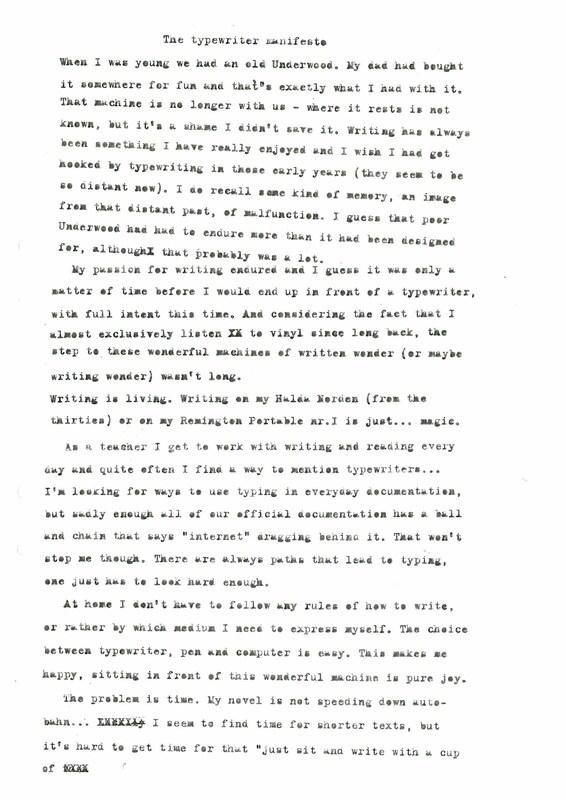 In May of 2010, filmmakers Christopher Lockett and Gary Nicholson read an article on Wired.com about the last generation of typewriter repairmen. Casual conversation over coffee turned toward the inevitable conclusion—a great documentary. This is the first local screening of this fascinating film. A typewriter plays a key role in the storyline of the second film in this double feature. Some typed thoughts from Pasi Vuoluterä of Mariestad, Sweden. Pasi is considering starting a typecast blog. Or... "A bunch of actors getting in the way of a nicely lit typewriter shot." 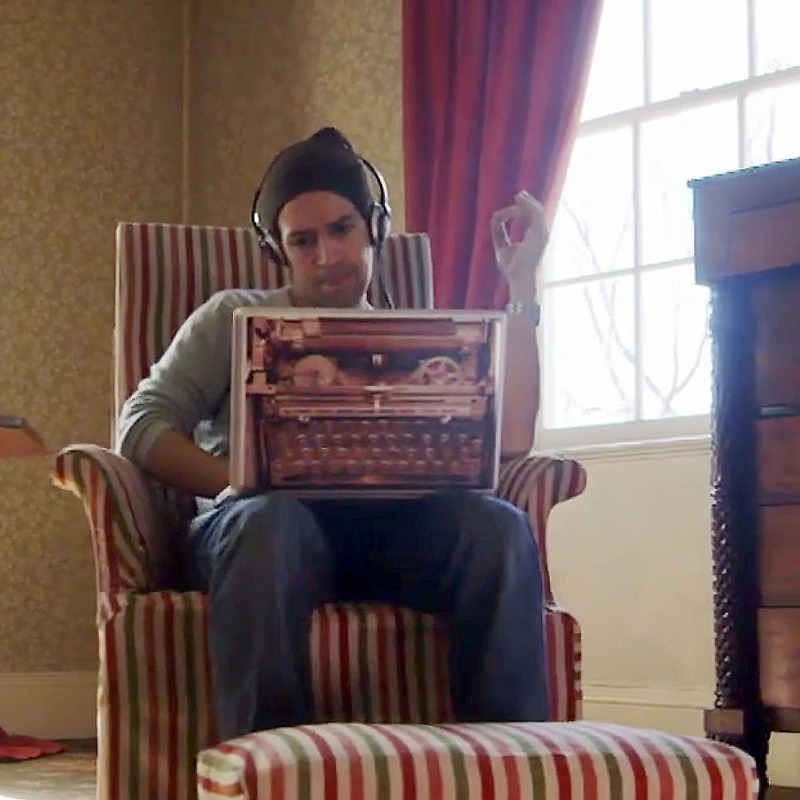 Writer's Block - A Supercut from Ben Watts on Vimeo. 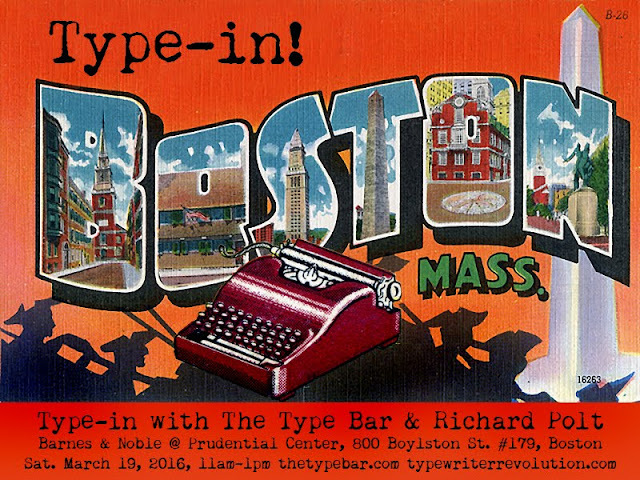 Bring your own typewriter for a community “Type Out” with Tom Furrier, of Cambridge, MA. 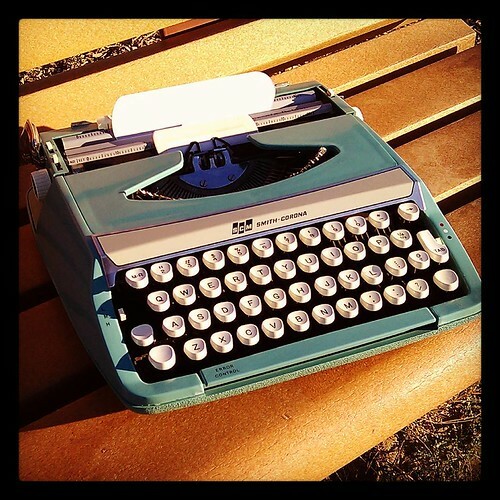 Weather permitting, we will be typing outdoors at the Belfast Co-op. 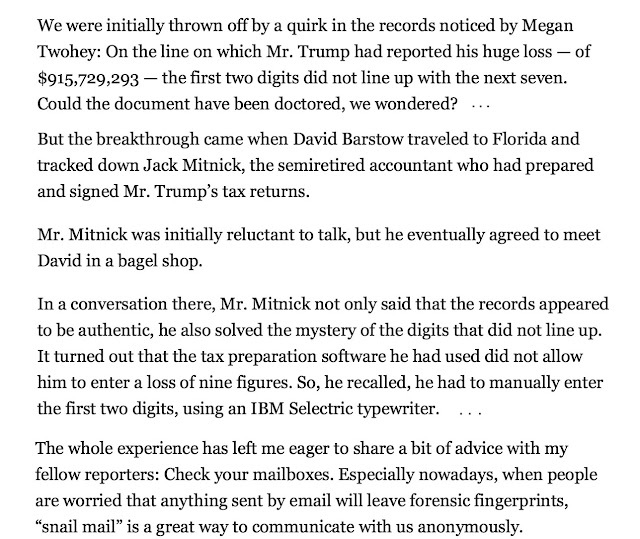 Tom Furrier is the owner of Cambridge Typewriter Co., Inc. in Arlington, MA. He has been repairing and selling typewriters for 36 years. We have blown past the 5 year renewal and have secured enough money to fund the Typosphere.net domain for the next 10 or 15 years! (I have to see if we can renew for 15 years.) Thank you to everyone who helped make this possible. Typosphere.net will live on. These kind people have donated. 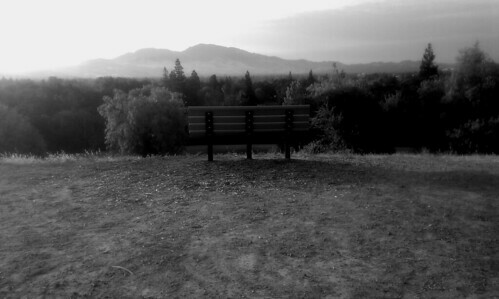 Mike is working on a special place to recognize what you have done. Richard P. Stephanie L. W.
Rodja R. P. Mike C.
Hello Typospherians. I am reaching out to you for help. 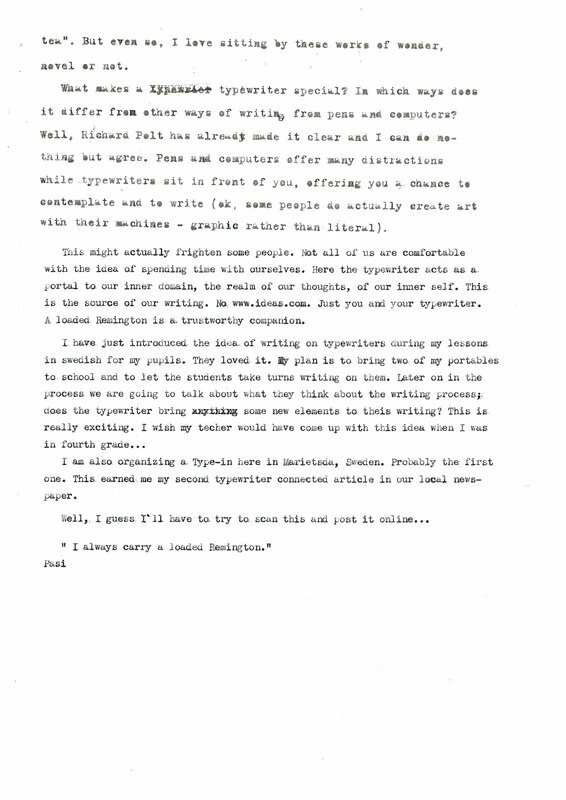 Typosphere.net net is the front page of the typewriter internet. It's been the place to post type-in notices, share stories about typewriters in the news, review new typewriter books, and present the typewriter-loving world. Now, Typosphere.net needs your help. The Typosphere.net domain name needs to be renewed and I would love to get it registered for the next five years. The cost to do that would be $100. If everyone who has loved and supported this great site could chip in a few clams we could get this domain locked down for the next half-decade. 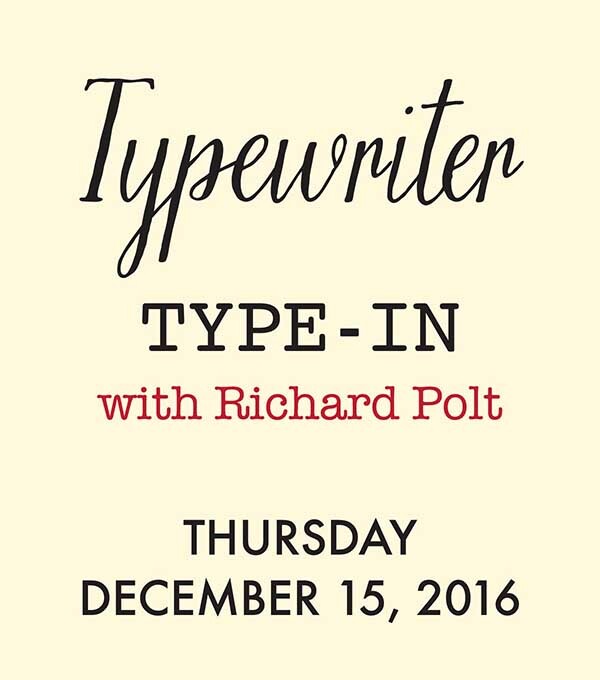 Your support means everyone can keep posting type-in updates, typewriters in the news, book reviews, and launches for the next five years. If you are interested in helping you can follow this link to my Paypal.me link. I will keep a detailed record of who donates and make sure that you get special recognition. Please consider helping raise the money for this small goal. 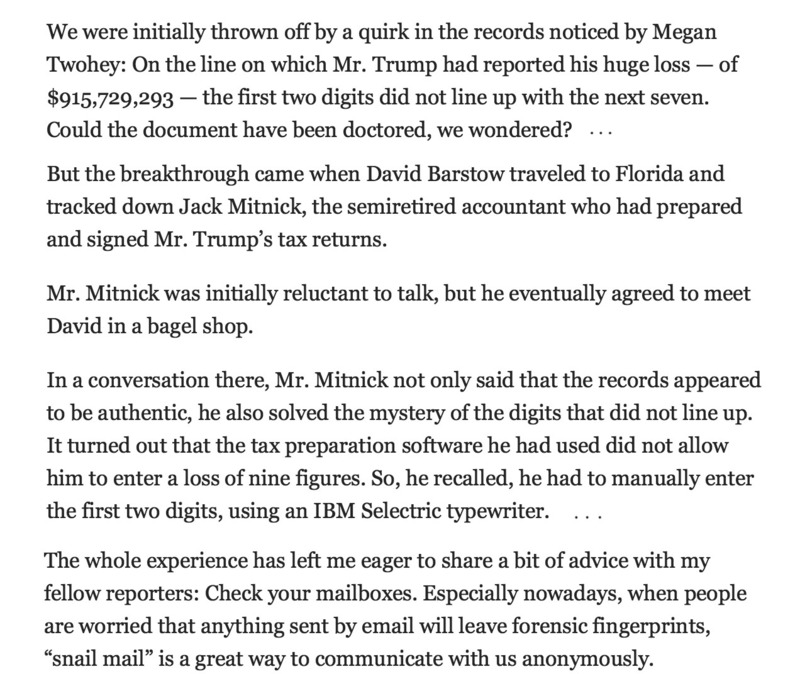 "Previously I had announced that Jack Lacy was having a "Type-In"
grandfather having opened a typewriter repair shop in Los Angeles in 1919.
coming. Should be a really fun event! Central Printer Resources, 4599 E Ramon Road, Palm Springs, CA 92264, 760-778-4444. 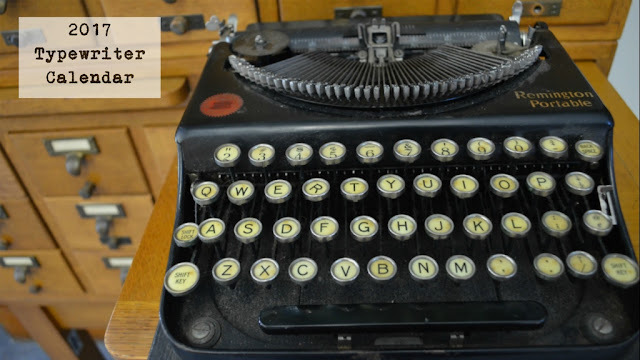 "I visited this shop and the owner, Jack Lacy, has been in the typewriter business his entire career and loves to talk typewriters. He still repairs old typewriters and he has a number of refurbished vintage machines for sale. He told me his grandfather, Clifford Sanders, opened a typewriter repair shop in Los Angeles in 1919. His father and uncle were in the business, too, and not only has he had a shop for many years, but also worked for SCM for many years. 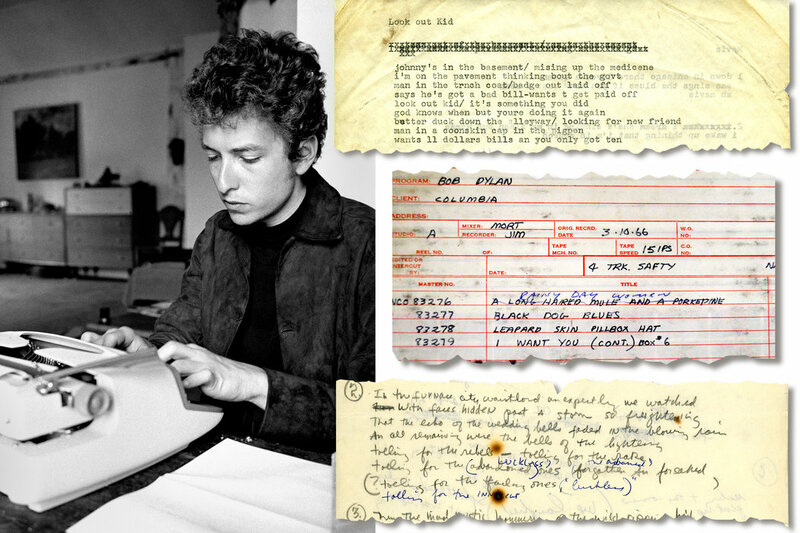 He knows his machines and loves helping those who love old typewriters. On February 20th he's having a "type-in" at his store, all welcome to bring their machines, share stories, and type, while enjoying refreshments. He'll be telling some stories from the old days. He also has an experienced typewriter technician on site, George Torres, and he also has a source in Los Angeles for fabricating parts that are no longer availability. Looks to be a good resource." 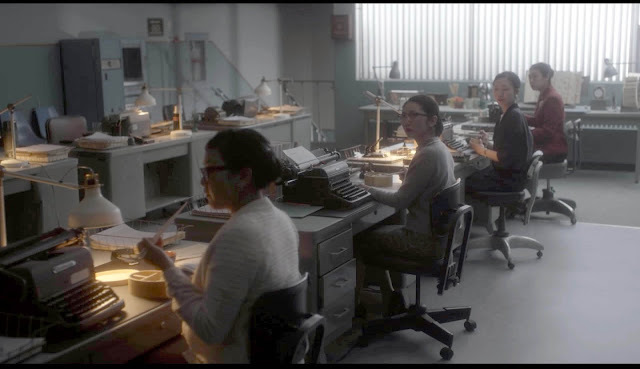 The Amazon series The Man in the High Castle, about America under Axis rule, includes lots of typewriters deployed by totalitarian bureaucrats. In this scene, secretaries are at work in the offices of the Japanese authority in San Francisco. Spotted in other scenes: Royal FP and IBM Selectric. 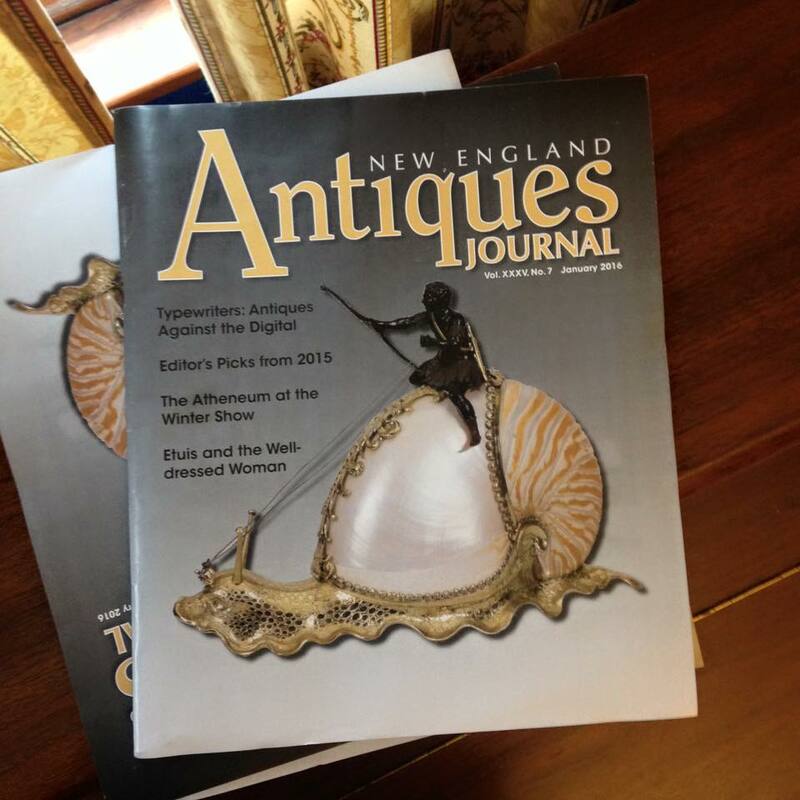 I have three printed copies of this magazine with a story by me (or my alter ego Richard Polk) on the typewriter revolution, and an editorial on the topic. I'll send them free to the first three people with US addresses who request them. Write to polt@xavier.edu.